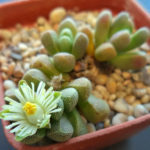 Rhinephyllum muirii N. E. Br. 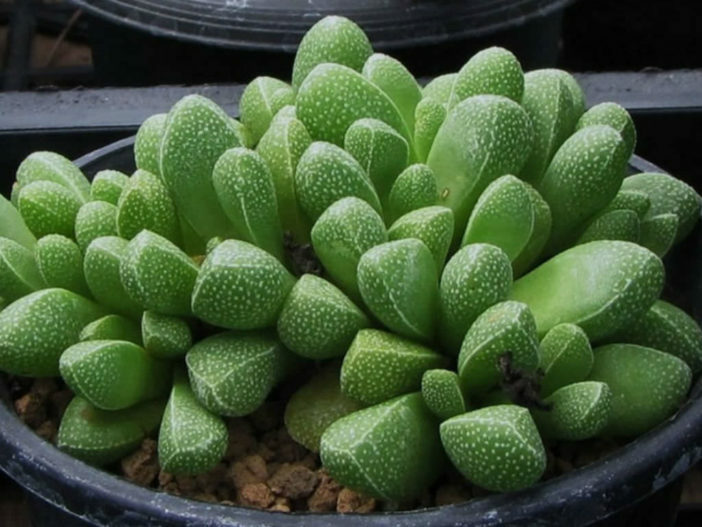 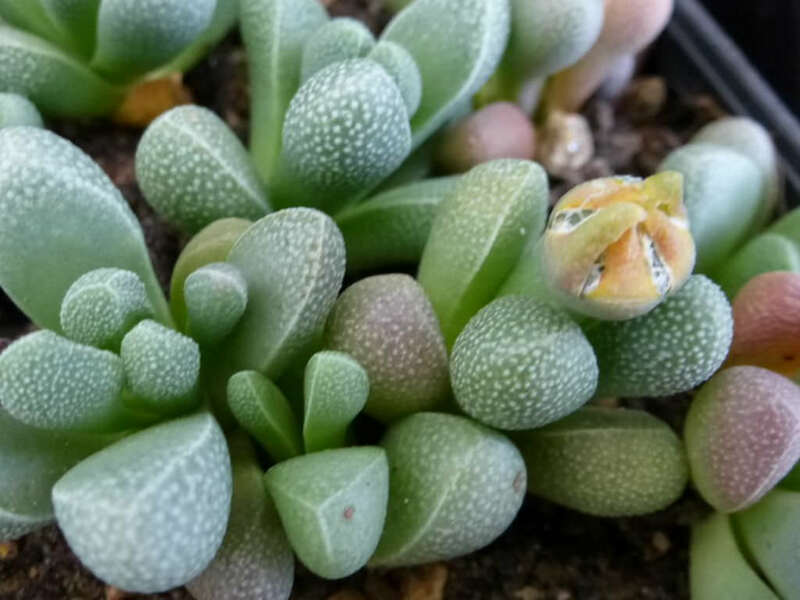 Rhinephyllum muirii is a miniature, perennial, flowering mesemb forming clumps of many shoots. 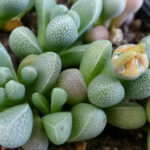 The leaves are inclined, up to 1 inch (2.5 cm) long, up to 0.4 inch (1 cm) wide, green but reddening in full sun and during cold weather with small whitish tubercles in upper half, margins and keel with a white cartilaginous edge. 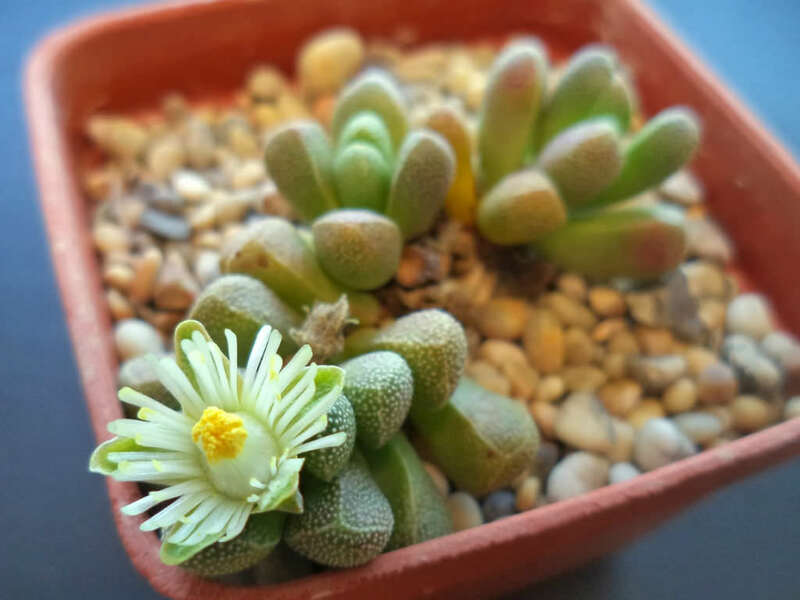 The flowers are solitary and apical on a short pedicel, yellowish-white, up to 0.5 inch (1.3 cm) long, up to 0.6 inch (1.5 cm) across and open at night. 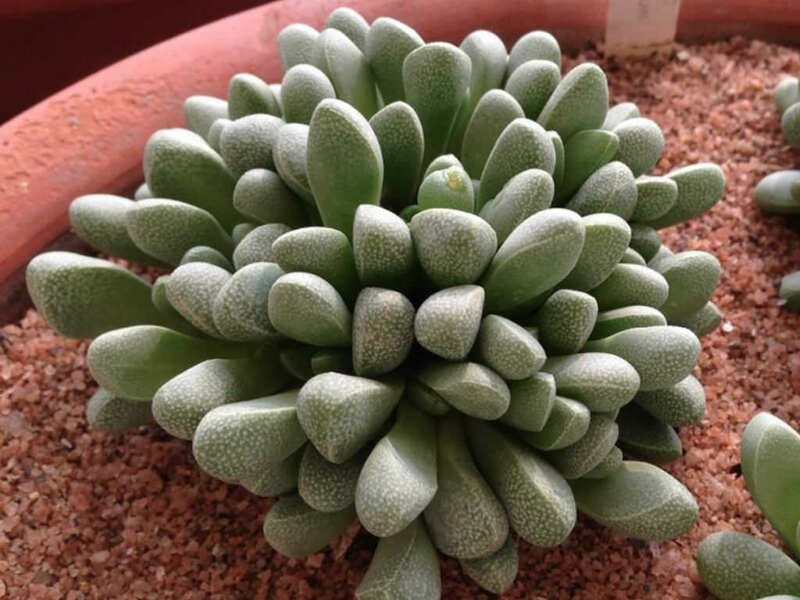 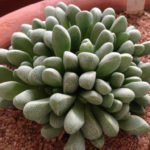 Native to South Africa (Little Karoo, Western Cape Province).